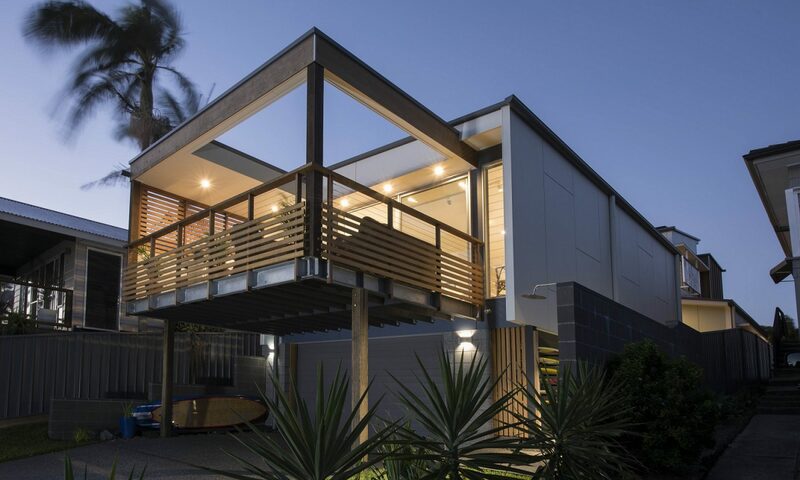 The new, elevated deck that Lewis + Zwart Architecture added to this 1960’s house works as a valuable + enjoyable entertaining area for the resident family. 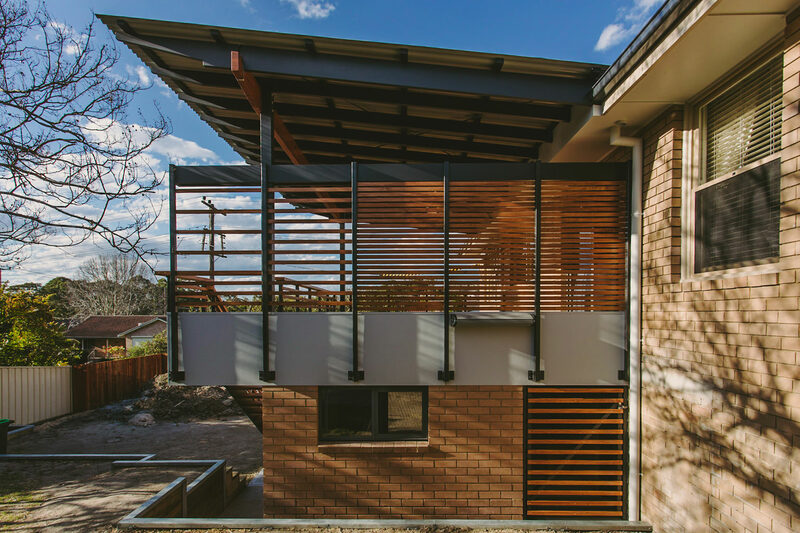 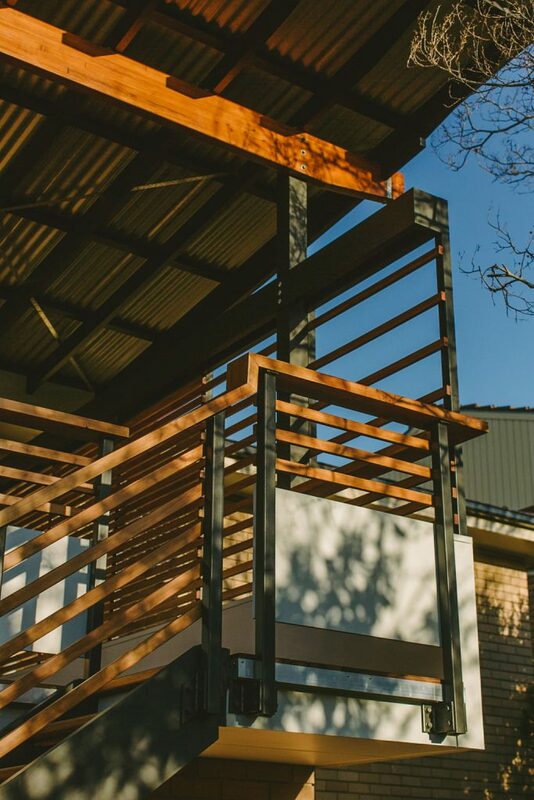 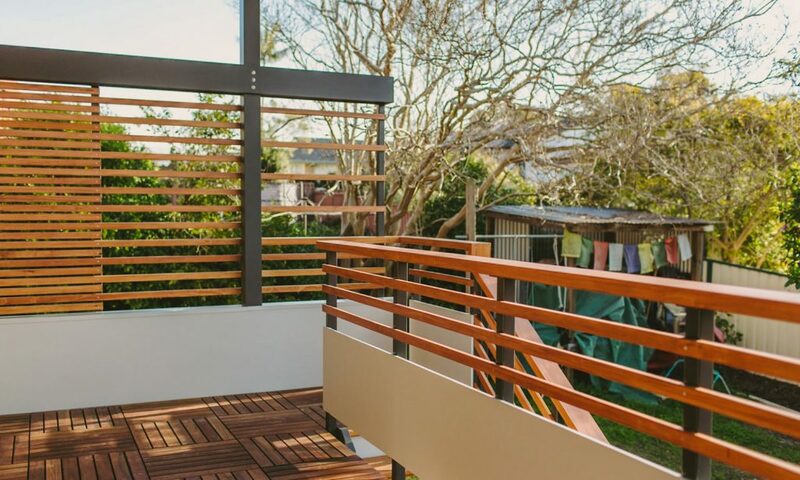 It is a delight in timber with removable, recycled timber decking tiles and timber balustrades + screening. 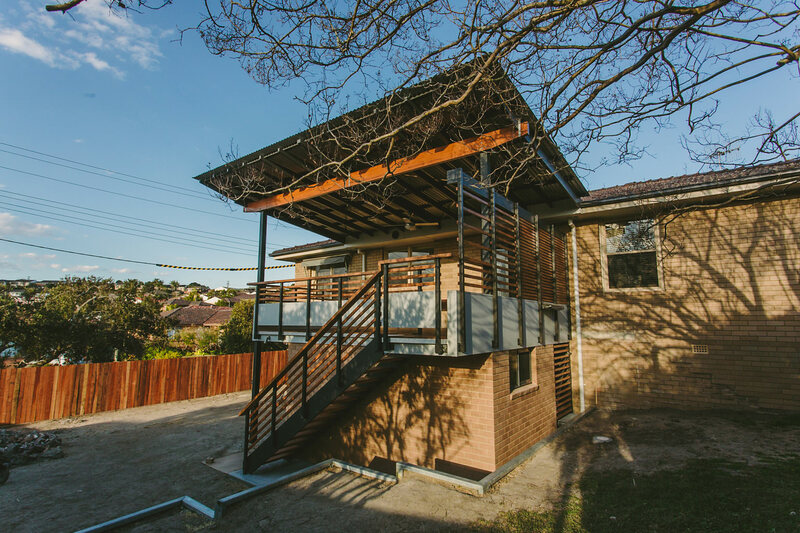 A laundry under makes good use of the space.